What started as a mild amusement with a side salad of historical curiosity, has developed into a fascination. I speak of course of the case of William Huskisson, MP, statesman, and the first man to fall under the wheels of a train. I've visited his memorial at Parkside near Newton-le-Willows; I've paid homage at his tomb in St James' Cemetary; I've even had a poke round the dock named for him. The story is a classic in the annals of "hows about them apples? 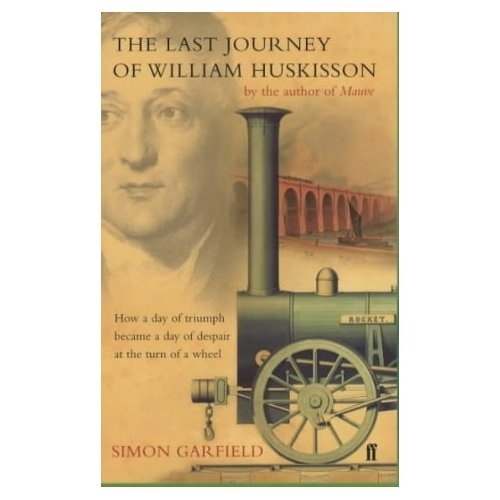 "; on the very day that the world's first passenger railway made its debut journey, Huskisson, a strong advocate, managed to inadvertently plummet under Stephenson's Rocket, resulting in his leg being crushed and dying from his wounds later that day. It's become a trivia question, a humorous anecdote, a moment of delicious historical irony, like the White Star Line claiming the Titanic was unsinkable right up until the moment the first class passengers realised all that ice on the deck hadn't fallen out of their martini glasses. I wanted to learn more about him and his unfortunate demise, so I turned to Simon Garfield's The Last Journey of William Huskisson. I'm not a big fan of biographies, but this is a great read, as thrilling as a novel and giving you not only a portrait of Huskisson himself, but also a record of the travails the Liverpool & Manchester Railway went through before the debut trains ran on the 15th September 1830. Huskisson emerges as a grand figure, a great man, and one who deserves to be remembered for more than his inability to get off a train track. Born in 1770 to relatively prosperous parents, he was educated in England before travelling to Paris to complete his tutoring under an uncle. While there, he became embroiled in the French Revolution, supporting the end of tyranny and witnessing the Fall of the Bastille at first hand. While he sympathised with the revolutionaries, he didn't go so far as to call for the end of the monarchy; he advocated progression, and a parliament with the will of the people which moved forward rather than dedicate its efforts to maintaining the status quo. The lessons of France were carried back with him to England where, over the years, he became the member for various different seats before finally becoming the MP for Liverpool in 1823. He was well-liked and respected in the city, as over the years he had become a champion for free trade, and was a long time associate and supporter of another of Liverpool's famous names, George Canning. Between the two of them, they were a dynamic influence within the party, and frequently at odds with the Prime Minister at the time. Canning was the thrusting man of action, Huskisson the considered man of thought behind him - they were the Blair and Brown of their day. Unfortunately Canning passed away shortly after finally becoming Prime Minister in 1827, leaving Huskisson to muster the movement on his own. He didn't have his friend's charisma though, and had been happier behind him, leading to a quiet collapse in the opposition to the PM, particularly when that role was taken by the Iron Duke himself, Wellington. 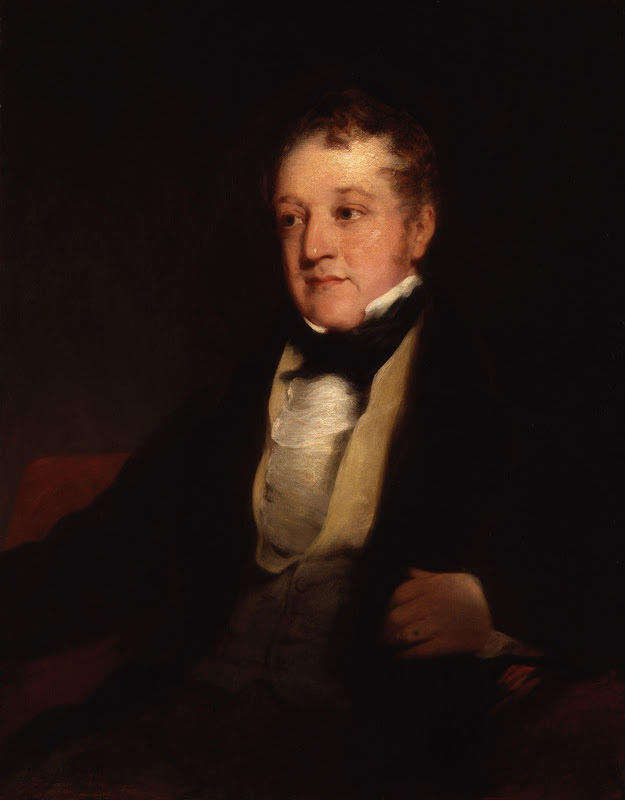 Huskisson continued to call for reform and change, pressing for the repeal or revision of the Corn Laws (the protectionist rules governing the price of corn which were seemingly the only thing people in the 19th Century ever talked about), but it came to nothing. The final straw came for him in the matter of Parliamentary reform. Unbelievably, even though the Industrial Revolution was in full swing and cities were growing across the country, Manchester, Leeds and Birmingham couldn't muster a single MP between them; the constituencies were based around ancient rights and land areas, meaning that Newton-le-Willows, for example, had two MPs even though it was just a tiny village. (Liverpool, as a historic borough and port, also had two MPs). Huskisson pressed for extending the franchise to these burgeoning population centres, and two particularly corrupt constituencies came within sight, one in Nottinghamshire and one in Cornwall. Huskisson and his supporters pressed for the two constituencies to be abolished and replaced by new ones for Manchester and Birmingham. The inevitable horse trading then happened, with many fearful that if you started letting these big cities have representation, it would be the thin end of the wedge and soon you'd have people walking their whippets on College Green and using the Mace as a baton for their colliery bands (or something). A compromise was reached: Manchester would get an MP instead of the Nottinghamshire one, and the Cornwall one would just be abolished outright without giving anything to those dreadful Brummies, because their accents would just get on everyone's nerves (I'm guessing here). The Lords, who could smell the approach of peasants, promptly rejected the compromise. Huskisson threw his dummy out of the cot - he felt that he'd already backed down enough by disenfranchising Birmingham, and he thought he had a deal. He wrote a letter at 2am, and sent it to the Duke of Wellington, saying that he could not serve in the Cabinet under such circumstances. Wellington, who by all accounts was a better warrior than politician, realised he could dispose of a thorn in his side and accepted his resignation by return of post. Which lead to Huskisson saying, "oh, you misunderstood. I didn't mean it really, I was just joking," but the job was done, and he was sent to the backbenches sharpish. Poor William. With his relegation to the back of Parliament, he promptly lost a lot of his influence and voice. He did have one thing going for him: a loud and continued support for the Liverpool & Manchester Railway bill, which was progressing at the same time. Huskisson could see the valuable advantage to trade the railway could bring to Liverpool, whisking goods from the Port to Manchester's manufacturers and avoiding the need for lengthy, expensive routes along canals. And so he became partly responsible for his demise. One of the great features of Garfield's book is that he never lets you forget that a tragedy is building; as he flashes back and forth through time periods, places and people, it is all tinged with the knowledge of where all this is headed. Garfield points out that Huskisson only made it to the ceremony against doctor's orders - he had been suffering from a kidney infection. He persisted because he knew the importance of the event to his city, and because of a justifiable pride in the role he played in its creation. 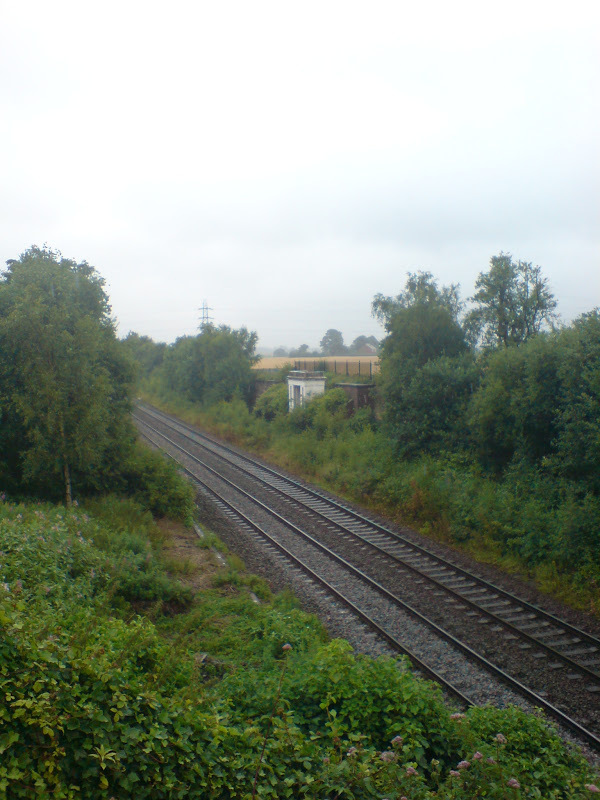 The route between Liverpool and Manchester was the first to have two parallel tracks beside one another, and so the dignitaries decided to make full use of this. The Prime Minister's train would occupy one track on the route to Manchester, while the other seven trains of dignitaries and local luminaries would occupy the other track, running alongside and ahead of the first train. In this way, not only would the passengers get to have a look at the countryside, but also a look at the Duke of Wellington as well. 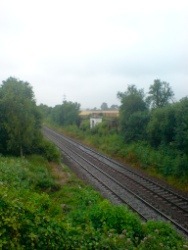 All went well until Parkside, halfway between the two cities and where the train had to stop to take on more water. Despite being advised not to, many of the men took the opportunity to get out and stretch their legs. Huskisson was on a high. The train journey was a triumph; the passengers were a-twitter with the brilliance of the journey, the thrill of the new technology. His role in marshalling the railway into life gave him a great deal of kudos. It was suggested to him that it would be the ideal moment to reconcile with the Duke of Wellington, and to go over and shake his hand. How could the Duke refuse him? Huskisson strode over and reached up to take the Prime Minister's hand. Barely had he done so than the cry went up - a train was coming! Huskisson, along with several other men, found himself in the middle, between the two rails. Most managed to clamber aboard, but Huskisson became flustered; he panicked, and finally managed to get one leg over the side of the Duke's coach (the steps were at the rear, away from where he stood). But he wriggled, and writhed, and dislodged the door, so that it swung open and deposited him directly into the path of the oncoming Rocket - a train which had no brakes, only a reverse gear to slow it down. ...the wheels had passed slantingly over the calf of the leg and the middle of the thigh, crushing and tearing the muscles but leaving the knee itself uninjured - a triangular wound unfamiliar even to medical men. The upper part of the leg had a multiple fracture, and the muscles were exposed in one wet and weeping flap... The arteries had not been severed, but lay flattened and pulsing in the sinewy turmoil. Which is, you know, lovely. Understandably, at this point, the party pretty much went to pieces. 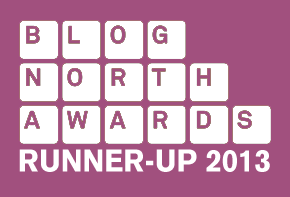 There was a dissolve into screams and panic; Mrs Huskisson came running forward, wailing and distraught; and the doctors on board did what they could. The best thing, it was decided, was to rush him as far as Eccles, and to get the surgeons from Manchester to meet them there. The flatbed wagon containing a brass band was unloaded (the band itself were forgotten about, and ended up walking home) and Huskisson was laid out on it. The surgeons did their best, but even after they ministered to him, all was lost. Huskisson died that evening. His funeral was held on the 24th September, and the whole of Liverpool, it seemed, turned out to pay homage. Mrs Huskisson hadn't wanted any pomp - in fact, she hadn't even wanted to bury him in Liverpool, preferring the church near their home - but the sheer weight of public grief persuaded her otherwise. His popularity with the citizens, together with the tragic circumstances of his death on what should have been a great day, captured the imaginations of everyone. Colour coded tickets had to be issued for his burial, so that spectators could get a proper view; people lined up on rooftops, and shops and businesses were closed. In death, Huskisson became an even greater statesman than in life; the obituaries fell over themselves to praise him. Garfield's book is careful to debunk some of the more extreme claims made by those who wrote about him after he died, but he still manages to portray a great, intelligent, principled man. He was certainly a loss to the British parliament, and to the city of Liverpool, and deserves all the various tributes that exist for him. He deserves to be more than a sniggering joke. 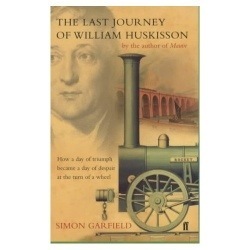 I really enjoyed The Last Journey of William Huskisson, and not just because I'm a railway fan. It's superbly written, loaded with tension and speed, and kept me thoroughly entertained throughout. Highly recommended for anyone who likes trains, Liverpool, or just a damn good read.